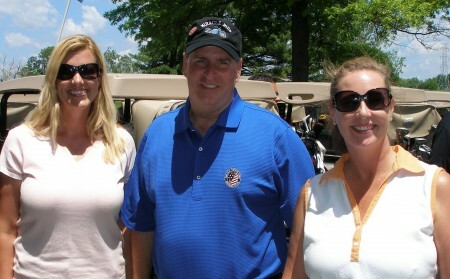 CARMEL, IN – June 1, 2009 –Stephenie Jocham and Jill Dimick, founding members and attorneys at Jocham Harden Dimick Jackson, PC (also known as JHDJ Law) participated in the 2009 Miracle Ride Golf Outing hosted by Indianapolis Mayor Greg Ballard. Jocham Harden Dimick Jackson, PC, served as a Hole Sponsor for the event, which was held at the Brickyard Crossing course in conjunction with the annual fundraising event for Riley Children’s Hospital. In addition to Mayor Ballard, the golf outing featured local personalities and celebrities including Jim Caldwell, the new head coach for the Indianapolis Colts. Stephenie Jocham is an attorney and mediator for the Family Law Practice Group at JHDJ Law and also chairs the firm’s Alternative Dispute Resolution Section, focusing her practice on alternatives to divorce litigation. She provides representation for divorce, custody and other family law matters as well as civil litigation utilizing collaborative law, mediation or arbitration. Jill Dimick chairs the law firm’s Business Litigation Group and represents individuals and corporations with disputes involving businesses, employment and real estate. Both attorneys are active members of the Indianapolis, Indiana State and Hamilton County Bar Associations, and participate frequently in community, civic and charitable events.